As thousands of women gather on the National Mall to advocate for women’s rights, here’s one issue that policymakers can address: wage growth. 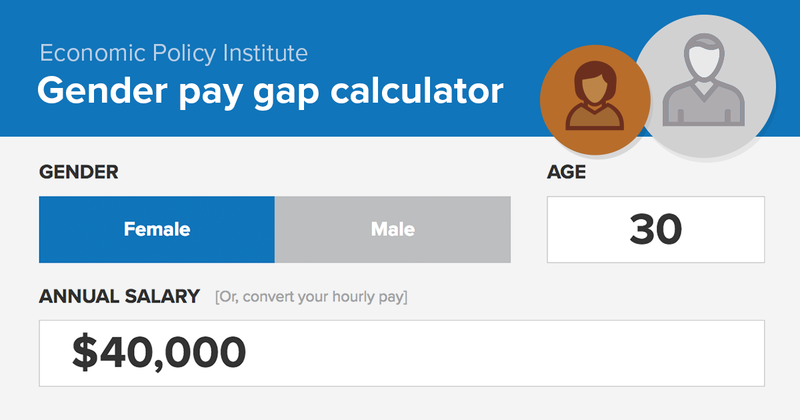 By closing the gender wage gap and eliminating the inequality that has kept nearly all workers’ pay from rising with productivity, we could raise women’s median hourly wages by 69 percent—from $15.67 to $26.47. Over the last several decades, women have entered the workforce in record numbers and made great strides in educational attainment. Nevertheless, when compared with men, women are still paid less, are more likely to hold low-wage jobs, and are more likely to live in poverty. Typical women are paid only 83 cents for every dollar paid to a typical man. Gender wage disparities are present at all wage levels and within education categories, occupations, and sectors—sometimes to a grave degree. For example, relative to white non-Hispanic men, black and Hispanic women workers are paid only 65 cents and 58 cents on the dollar. Closing the gender wage gap is absolutely essential to helping women achieve economic security. But in order to bring genuine economic security to American women and their families, we must do more. In particular, we must reverse the decades-long trend of stagnant wages for the vast majority of workers. Indeed, while the gender wage gap has persisted, hourly wage growth for the vast majority of workers has stalled, as the benefits of increased productivity have accrued to those at the top. This is the result of intentional policy decisions that have eroded the leverage of the vast majority of workers to secure higher wages. To truly maximize women’s economic potential, we must focus on closing the gender wage gap and raising wages more generally. 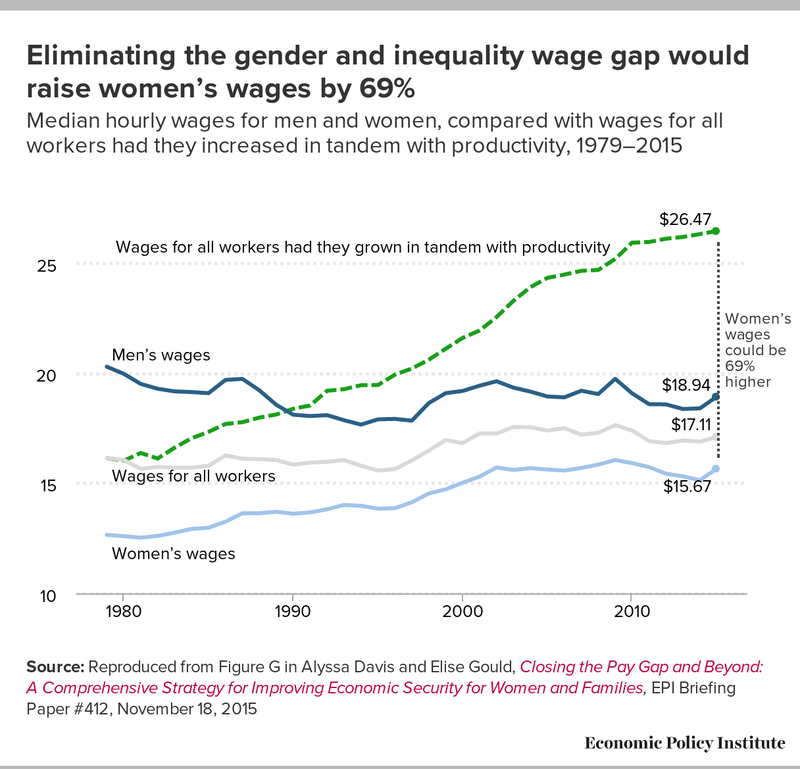 The figure shows how much higher wages would be today for typical workers regardless of gender, if we eliminated the gender wage gap and pursued broadly shared prosperity. The bottom line: gender wage parity does not improve women’s economic prospects to the greatest possible extent if wages for men and women remain equal but stagnant in the future. Thus, wage growth is a women’s issue. To maximize women’s economic security, we must raise wages by pursuing policies that intentionally tilt bargaining power back toward low- and moderate-wage workers. Additionally, policies should be pursued to end discrimination in hiring, pay setting, and promotions. Finally, better workplace infrastructure, such as paid sick leave and subsidized child care, should be implemented to provide stability for women and working families.